Native to northern Africa, western Asia, Pakistan, and eastern Europe. Introduced and naturalized in the United States. Dry. 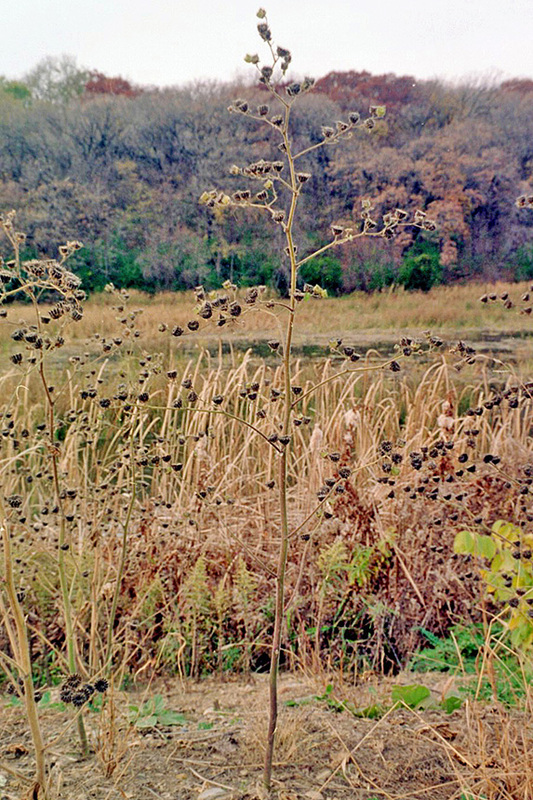 Fields, disturbed sites. Full sun. 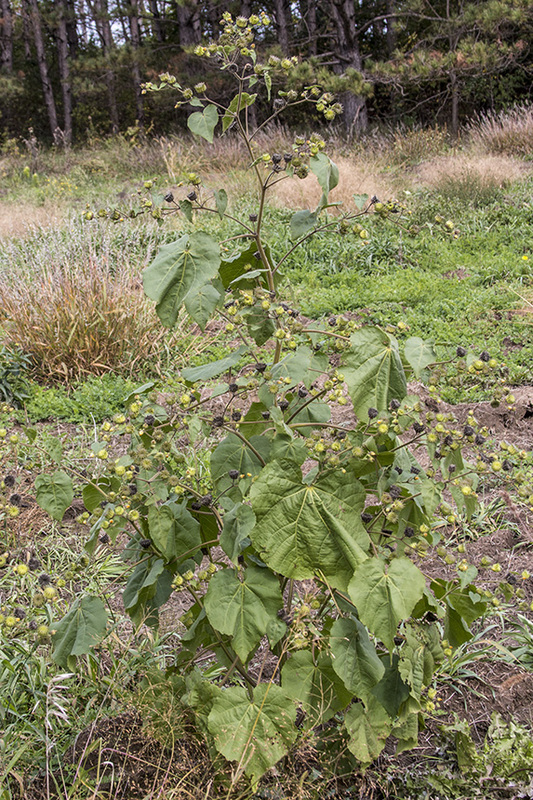 This is a 1′ to 4′ tall, occasionally taller, stout, erect, annual forb that rises from a slender taproot. The stem is much branched above the middle and is covered with star-shaped hairs that have just a few branches from the base (stellate). 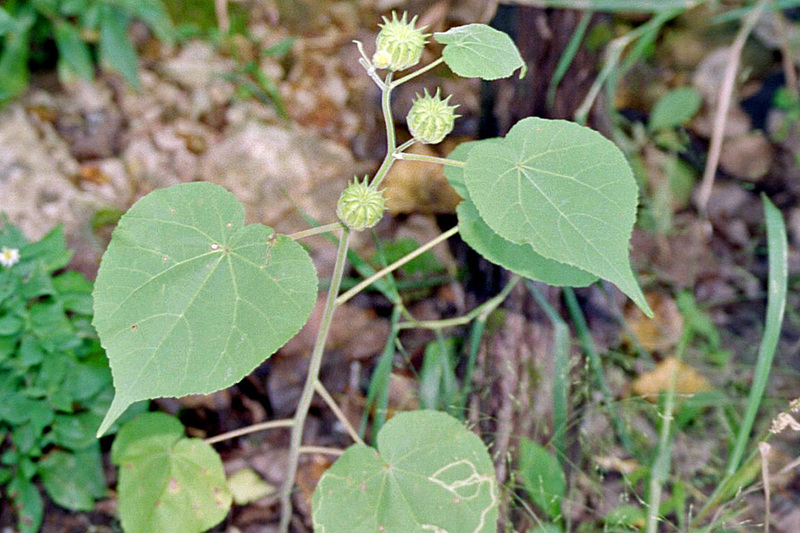 The leaves are alternate, large, 4″ to 6″ long, and heart-shaped with a notch at the base. They are gradually taper to a sharp point with concave sides along the tip. 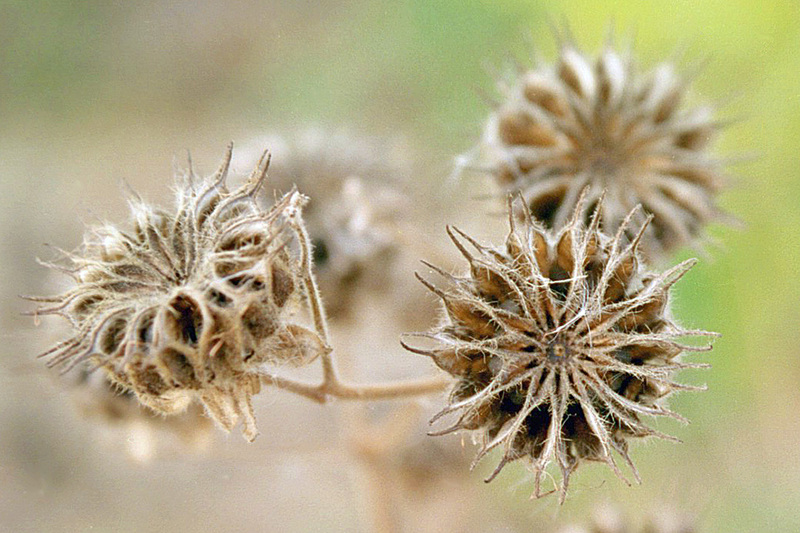 They are covered on both sides with stellate hairs, making them velvety to the touch. The margins have minute, blunt teeth. 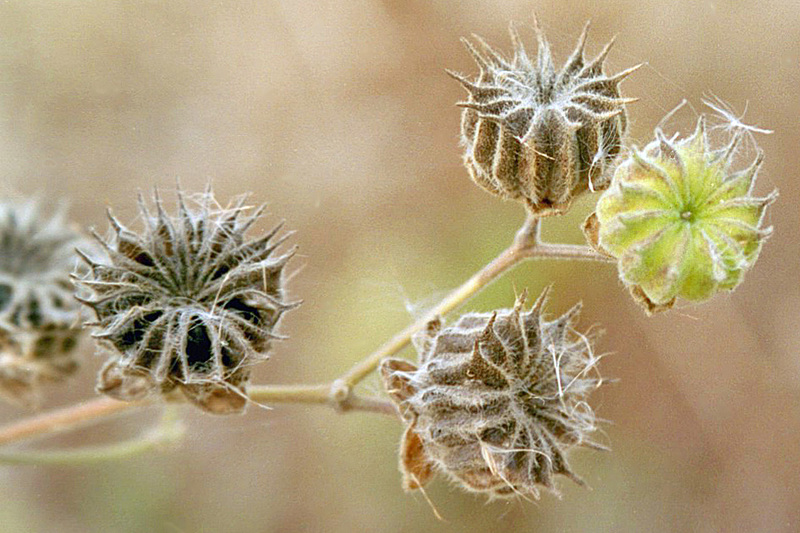 They are borne on 1″ to 5″ long leaf stalks that are also covered with stellate hairs. 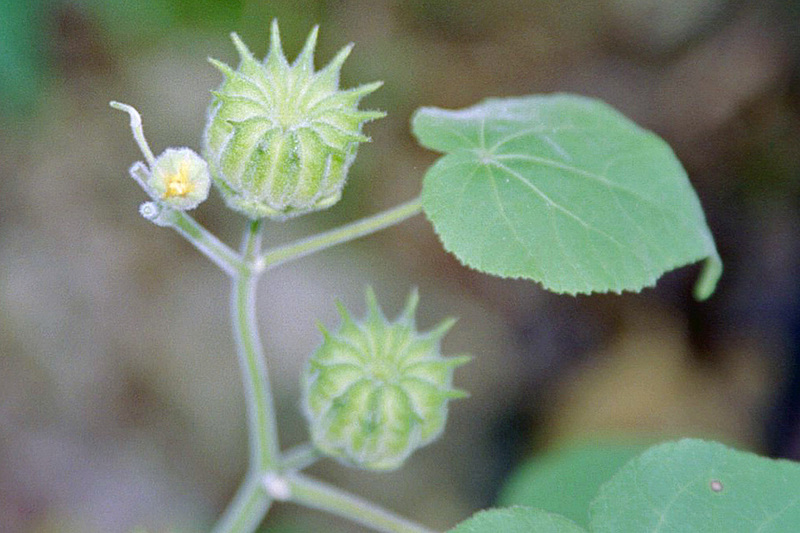 The inflorescence consists of solitary flowers born on ¾″ to 1¼″ long stalks arising from the upper angle of the junction between the leaf and the stem (axils). 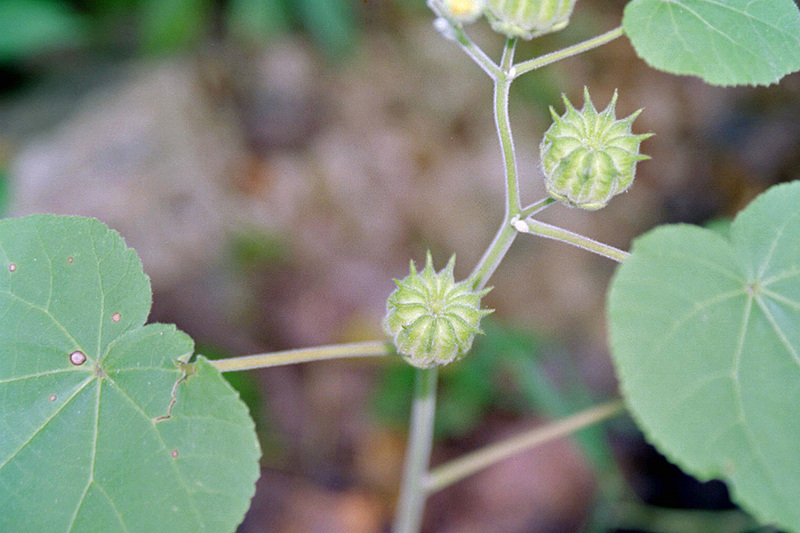 The flower stalks are covered with stellate hairs. 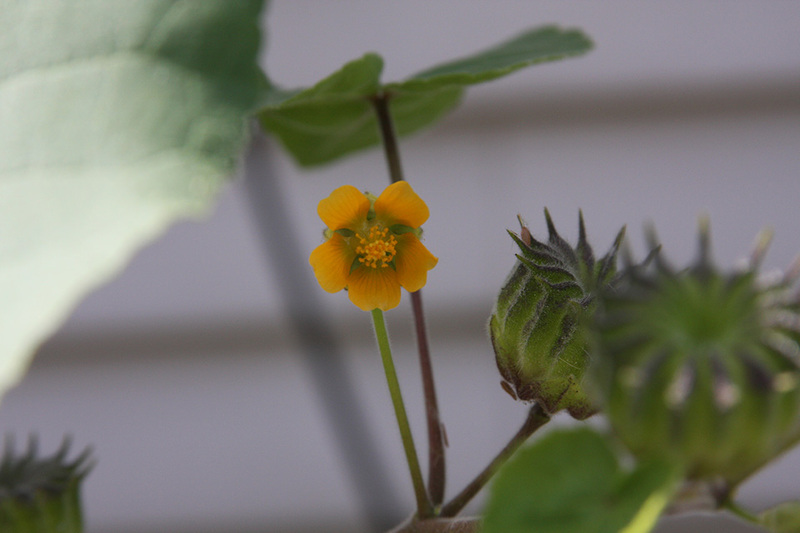 The flowers are ½″ to 1″ wide with 5 yellow to orangish-yellow petals. 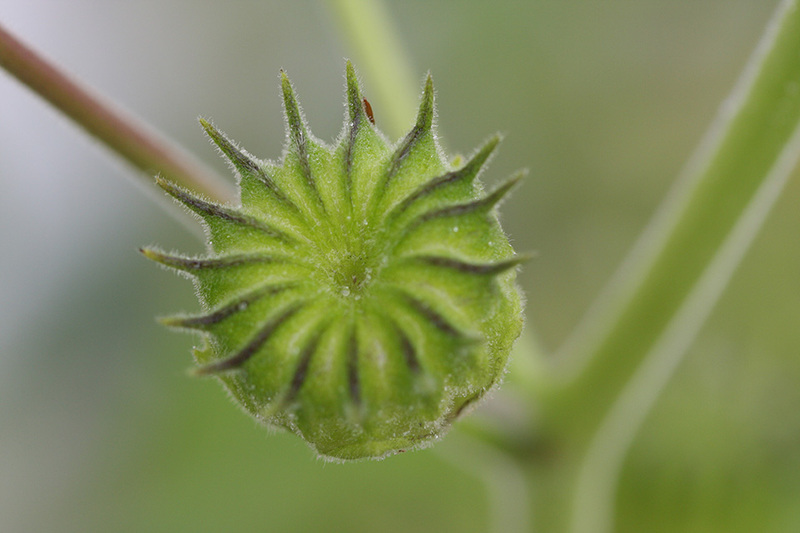 The fruit is ¾″ to 1¼″ wide and densely hairy. 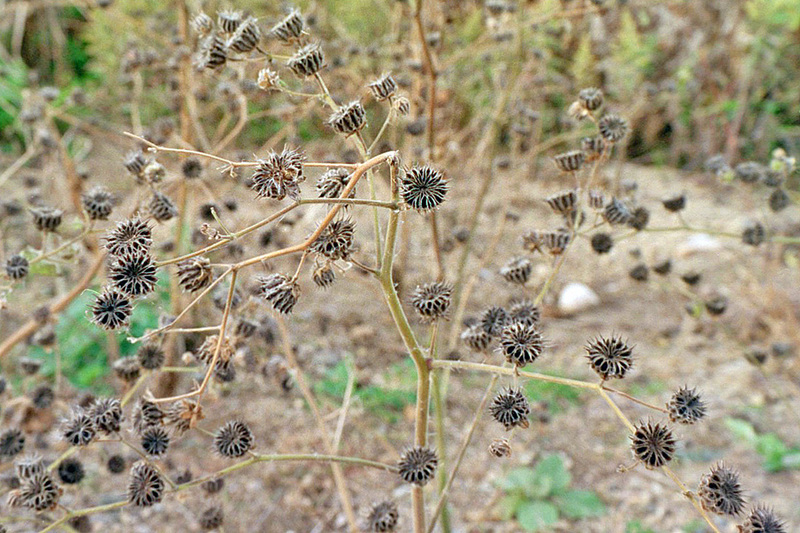 They have 10 to 15 awned segments, each containing a gray-grown, kidney-shaped seed. 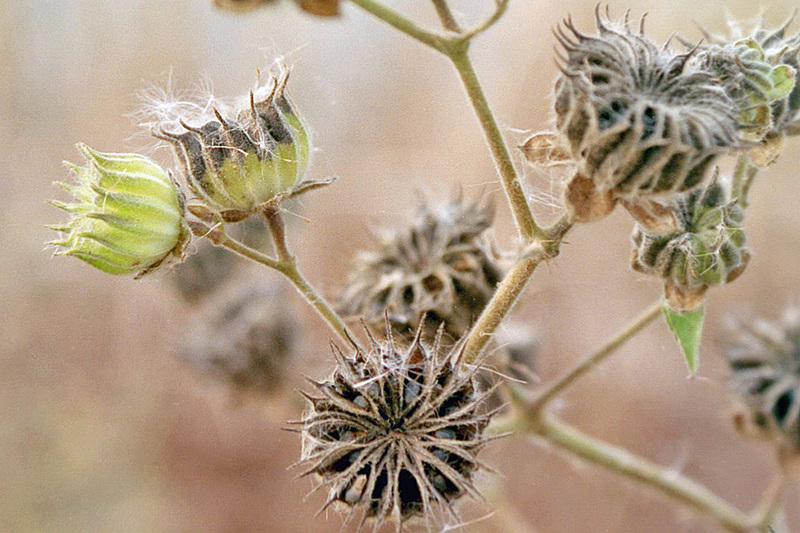 The seeds remain viable for up to 50 years. Star-shaped. Stellate hairs have several or many branches from the base. 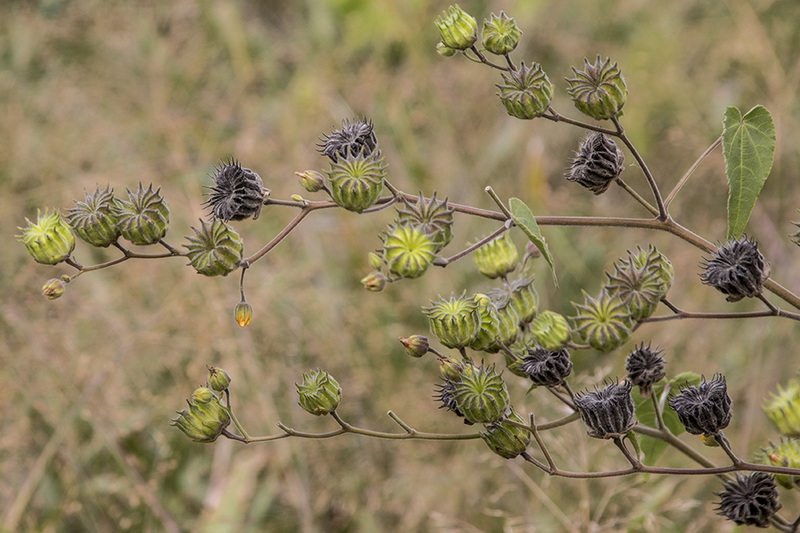 It's our Weed of the Week, Velvetleaf. 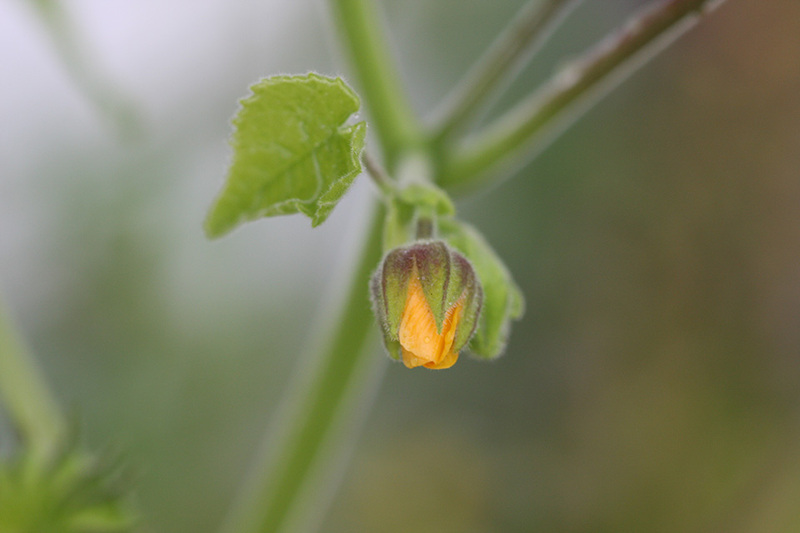 6 University of Guelph students got together for a project to assist you in identifying and controlling the weed velvetleaf, in whatever line of work you may be in. Thanks to Matt Underwood, Josh burrows, Natalie Renkema, Matt Smyth, Stuart Vermeulen, and Christine Littlejohn. 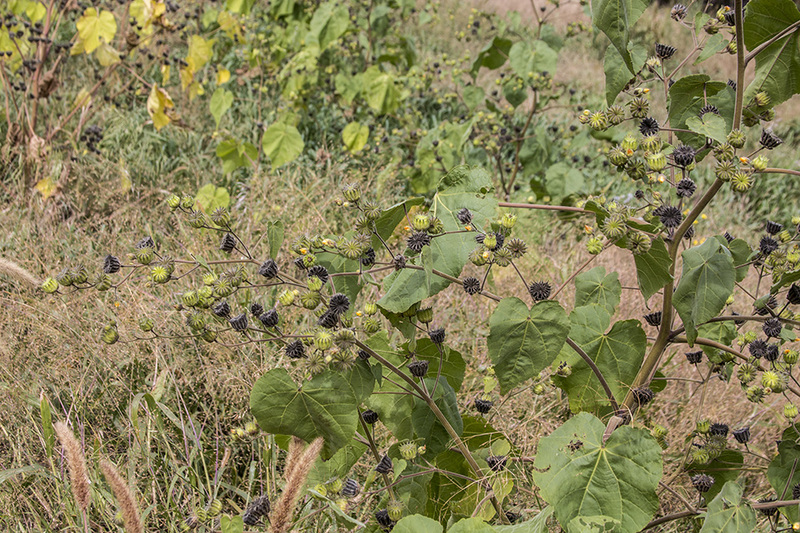 Velvet-leaf (Abutilon Theophrasti) has been grown in China since around 2000 BCE for its strong, jute-like fiber to make cordage, thread, nets, and woven bags. 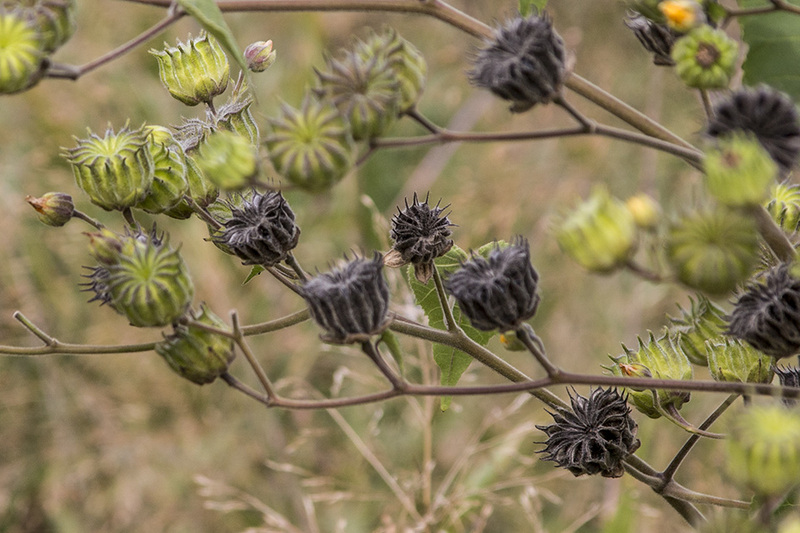 This is a very useful plant for making medium to medium-strong cordage. 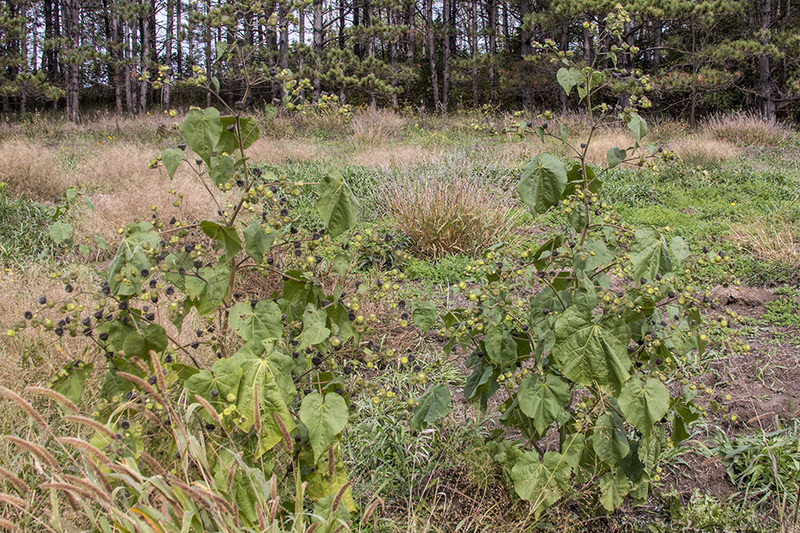 The fibers can be obtained along the tall long stalks. The skin, which contain the fibers, come off in long strips when the plant is green. The thin green top skin can be scraped off to reveal a network of light-yellow fibers.